Although the technology exhibition the world's largest CES 2016 and primarily in Las Vegas, USA, will not officially kicks off only in the Jan. 6, but many of the innovations that will be presented on the sidelines became known to the media and the public, and including the new LG screen and removable folding. And is a South Korean company LG is the world's leading level screens manufacturing companies, and if the company had made in an earlier phone with a curved screen "G Flex" time she and through the activities of the CES 2016 plans to offer technological innovation again in the same context, but more sophisticated and flexible it comes to a new screen and folding. 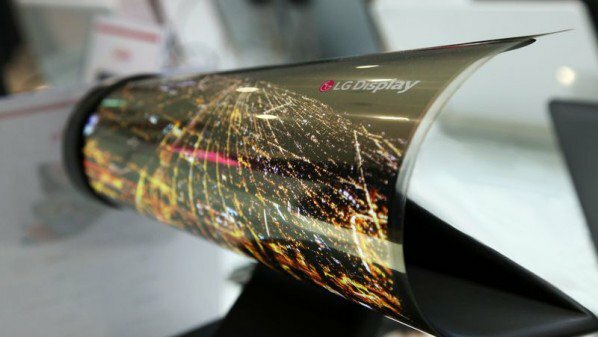 And despite the lack of information about this new screen, however, and according to media sources, it will be the OLED display and 18-inch and is totally scalable folding completely and may be marketable in the next year in 2017.